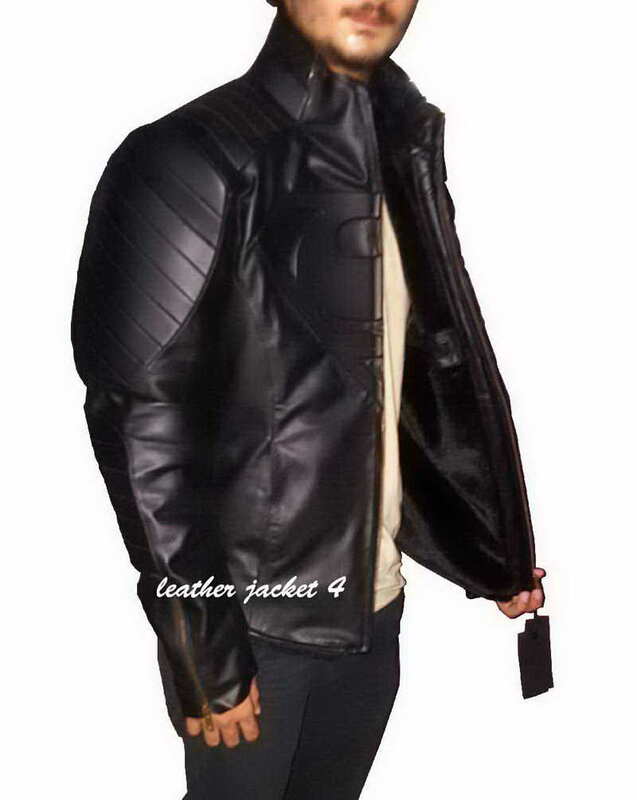 This Men's superman motorcycle jacket. 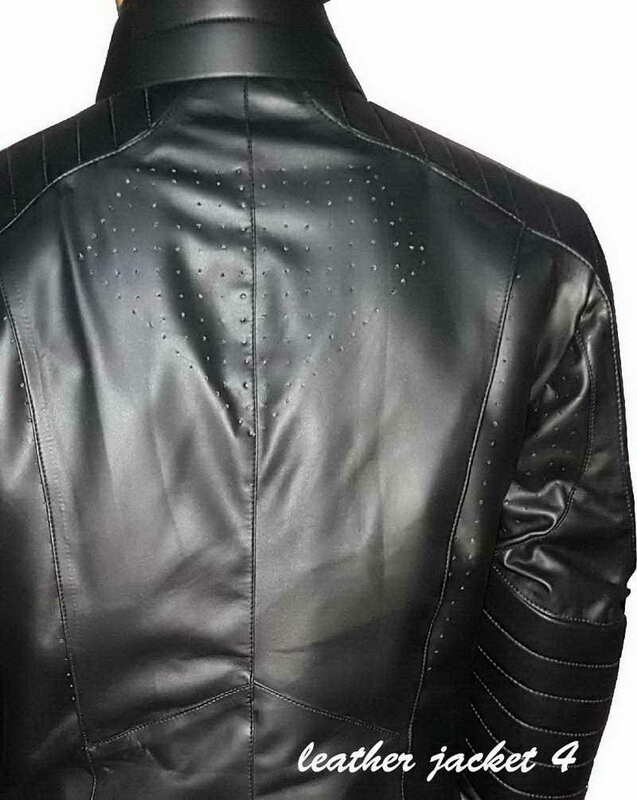 This collarless jacket with a strap button is made with high quality artificial leather for normal temperature or spring season. 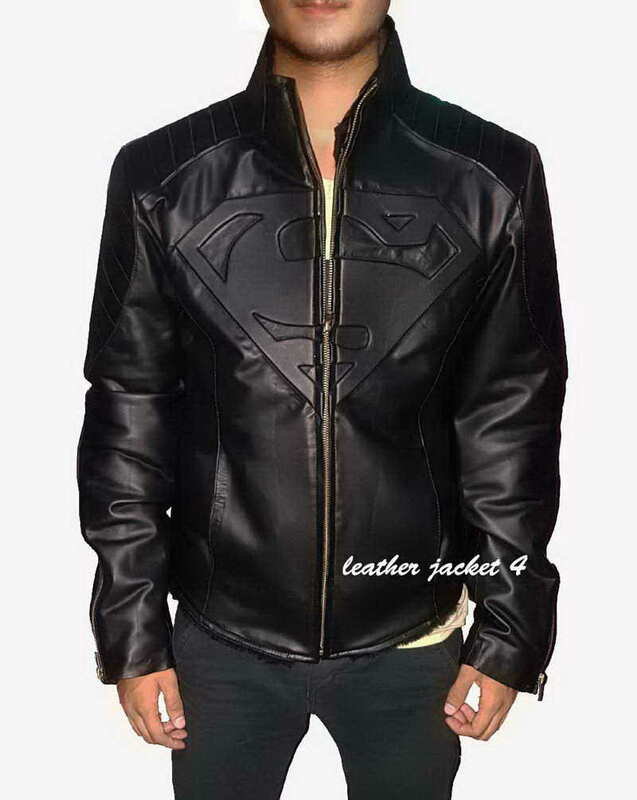 It is available in Black color and has embossed Superman Emblem. 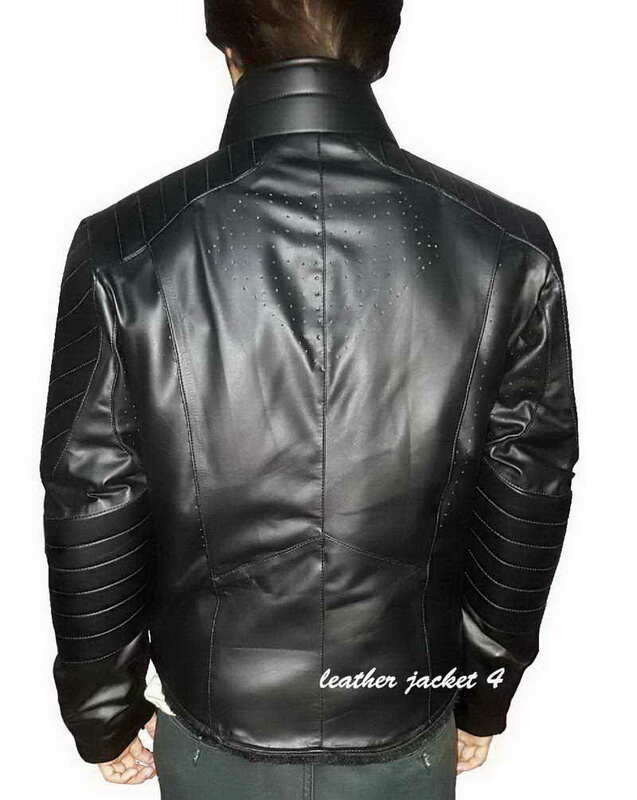 This jacket is made with highest quality leather with full lining, double stitching for maximum durability and also with detailed padding and dotted holes in the shape of emblem on the back. It has been delicately premeditated and fashioned with great concern to the details. 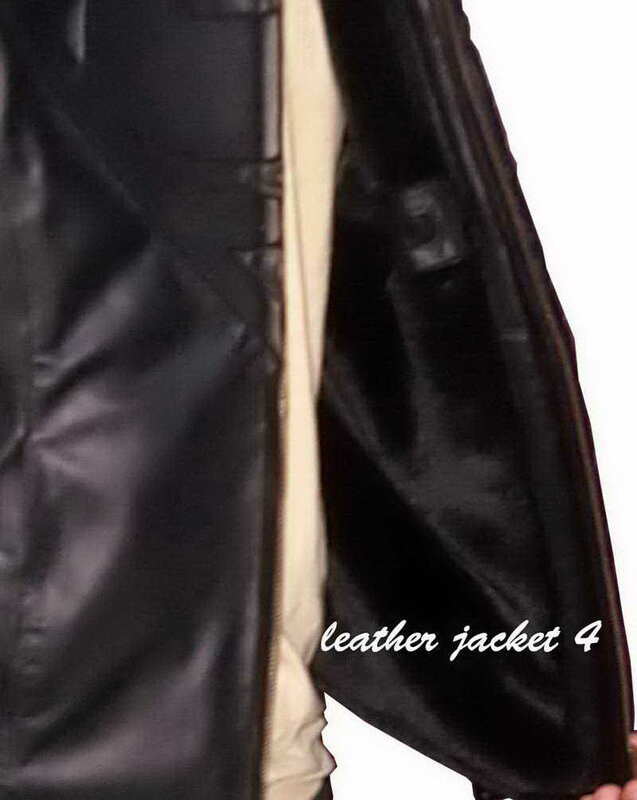 Original YKK brand zippers are used for the front, pockets and cuffs. 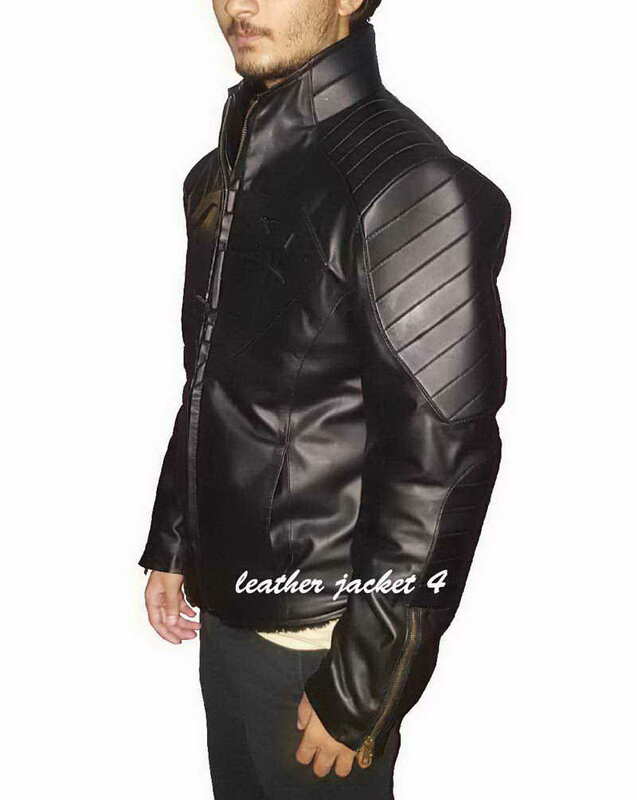 It is available in black color in every size. 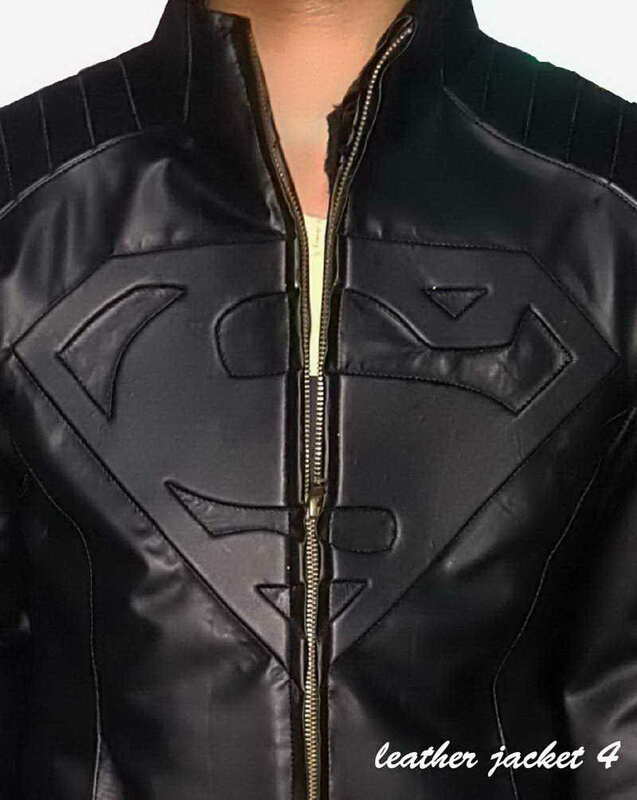 Thank You, II'm very delighted in reviewing this jacket, I lately got my Superman-Jacket Jacket , it is very comfortable and warm from inside. 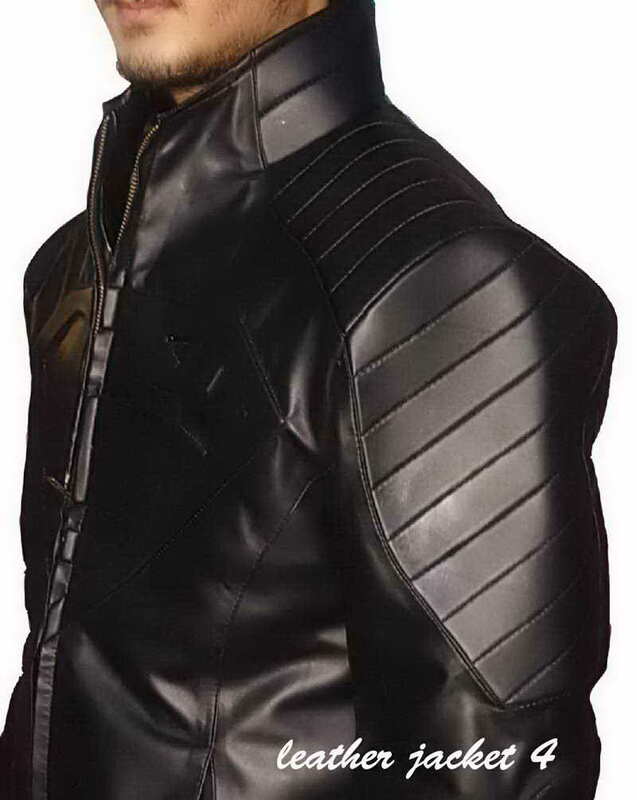 Would definitely recommend other to buy this from here.